As a dedicated provider of home inspections, I take pride in offering you the advantage of my training, education, and years of experience in the field of home inspections. I am certified and insured. I use HomeGauge reporting software, and I'm a proud member of InterNACHI. A typical on-site inspection takes about two hours, depending on the size and condition of the home. I strongly advise potential buyers to be present and follow me through the inspection. We can then discuss my findings and any maintenance issues. Particularly for first-time buyers, this is a great way to get introduced to your new home. I encourage you to ask questions. At the end of the inspection, I take the time to review my findings with you and discuss what will be in the final written report. 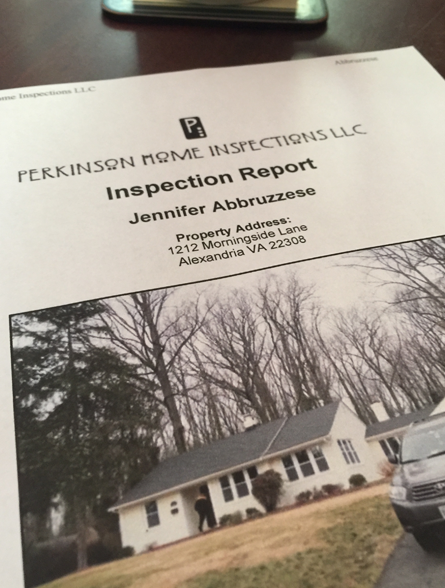 Your inspection report is invaluable to you as a homeowner. It can be referenced later for maintenance issues, and it can remind you where to find access to important components. Your report serves as a snapshot in time that shows the condition of your home at the time it became yours. Perkinson Home Inspections charges only $299 for a total inspection. Some exclusions do apply, so please call for details. I charge less than most inspectors and bring a lot more knowledge to the table. Feel free to shop around, ask what others charge, and ask what their experience is. You'll see the difference in the affordability and the quality of my services. "Lyle was excellent. I am a structural engineer by education, and also have plenty of electrical/power education as well, and it was clear Lyle knew what he was talking about and what he was doing. He was also very professional and enthusiastic, even in the 100 degree plus attic. Thanks."